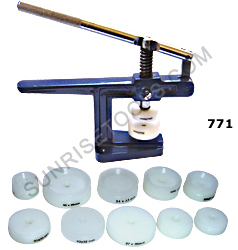 Description :-This professional glass fitting machine is used for fitting watch crystals / glasses & watch casement backs. 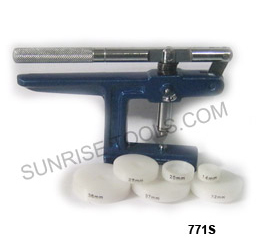 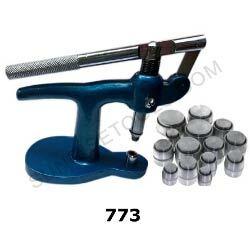 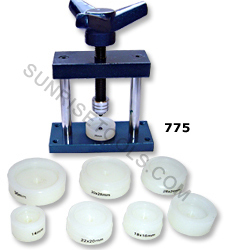 An essential tool for watch makers for fitting glass and pressed backs very easily & safely. 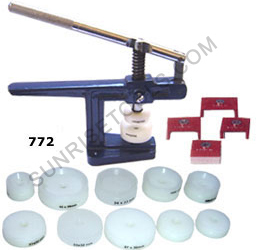 These Glass fitting machines are widely appreciated by our customers for its durability and quality and will give you years of satisfaction and service. 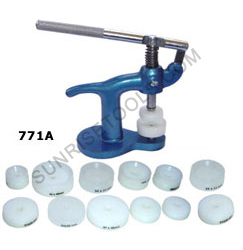 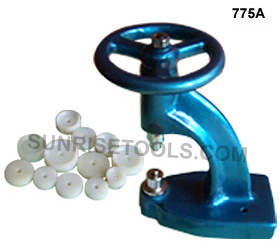 Description :- This machine is used for fitting flat mineral glass & backs of Quartz Watch Cases & is very handy if you have a watch back which is particularly tricky to click back into place after changing the battery. 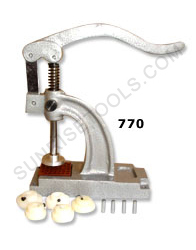 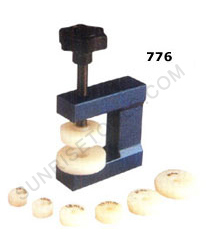 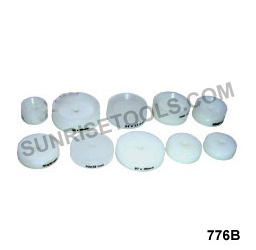 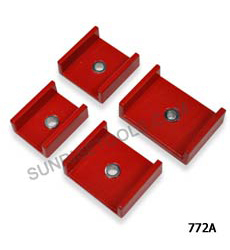 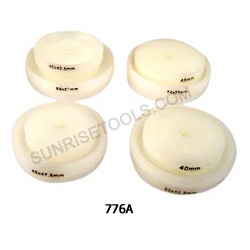 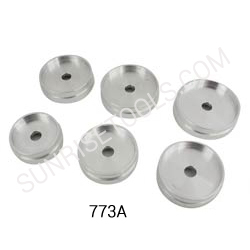 Description :- These plastic dies are are used in various applications in watch repairing parts. 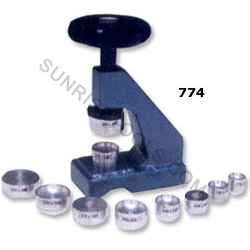 Description :- Due to smooth functioning, accurate dimensions and high durability, these products are widely used in numerous watch manufacturing establishments.